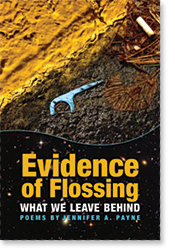 Don’t Miss Evidence of Flossing! 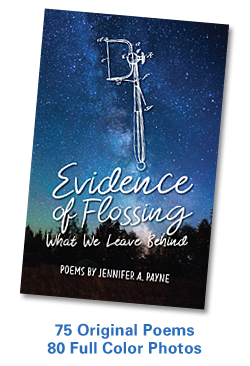 Mark your calendar for these upcoming events to celebrate the launch of Evidence of Flossing: What We Leave Behind, then follow this blog, or Like our Facebook page for event detail as they become available! This entry was posted in Art, Books, Conversation, Creativity, Nature, Photography, Poetry, Publishing, Writing and tagged Art, Books, Creativity, Independent Book Publishers Association, Jen Payne, Nature, Photography, Poetry, Publishing, Writing. Bookmark the permalink.